New Lifestyle is an update to our original Lifestyle template released in January 2012. It features a tonne of new stuff including support for Jika shop, jCal Pro, Zenkit and Zentools. New Lifestyle is easy to customise via the T3 theme customiser called Theme Magic. You can control almost all of the conolour palette from the template administrator. 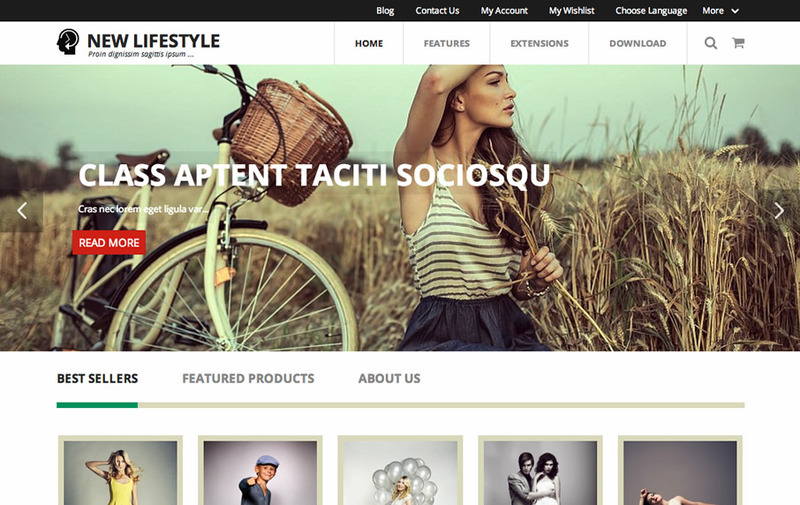 If you need a clean, content focussed ecommerce theme then New Lifestyle is the perfect option. New Lifestyle is built on Bootstrap which means it will play nicely with any other Joomla extension built using the same framework.